It’s no secret that kids can be tough on things. This is why you should consider some differences in carpets and their durability when choosing the carpet for a child’s room. Carpets come in many different colors, different piles and are made from different types of materials. Some fair better than others when it comes to kids. Leading Carpet Cleaning can walk you through the many options for buying a kid friendly carpet. Carpets come in many different varieties. There are however, three main choices when it comes to types of carpet: cut pile, loop pile and a combination of cut and loop pile. With cut pile the fibers are cut evenly along the top. This is a very soft option. Cut pile can be a good option for a child’s room, if the carpet is dense enough. When looking at a carpet sample you can bend the sample in half and if you can see the backing through the bend, it isn’t dense enough. It may cost a bit more to buy a denser carpet, but it will last longer in the end. It will also help prevent crumbs and other debris accumulating deep into your carpet by keeping them at the surface. Loop pile is another great choice for a child’s room or play area because of its durability. In a loop pile carpet, the fibers are looped back and attached again to the backing so there aren’t any fiber tips exposed. They may not be as soft as a cut pile carpet, but they can withstand a lot of high traffic and abuse over the years. This is not as durable as the loop pile, but it is softer. Because it combines the two options above it can be very appealing to the eye and comfortable at the same time. This type of carpet is good at hiding small pieces of paper and crumbs that little kids track all over the house. It does however house allergens and dirt as well, which can be unappealing. Sometimes it is better to keep the pile in your child’s room level with the loop pile or cut pile carpets. 1. Hypoallergenic & Microbial Wool Carpet – This is one of the most expensive options. It is expensive because of its durability. It is a great choice if you have a child that suffers from allergies. Wool is naturally hypoallergenic and antimicrobial. It is appealing because of its natural fibers. 2. Nylon & Other Synthetics Resist Stains on Carpet – These carpets come in a wide variety of color and textures. They are very affordable and often times very good at resisting stains. They are often times very soft as well, which makes them a good choice for a child’s room. 3. Stain Resistant Wool and Nylon Blend Carpet– This option comes with a lower price than a 100% wool carpet, but still has a great durability. It is usually more synthetic than wool and comes in many different varieties and colors. Because of the synthetics used, it is very stain resistant. Carpet Cleaning, Stain & Odor Removal Services in Orange, Santa Ana, Rancho Cucamonga, Anaheim, Whittier, Riverside, Chino & Fullerton California. Carpet is appealing when you have children because it is so comfortable. It offers a safe, soft place for slips and falls which occur sometimes daily with small children. The key to keeping the carpet you choose looking like new, is routine maintenance. 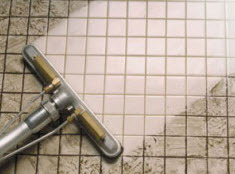 Make sure you are promptly cleaning up spills, and vacuuming regularly. Having your carpets cleaned by a professional like Leading Carpet Cleaning at least once a year will help in the longevity of your carpets. Call Leading Carpet Cleaning today for all of your carpet needs. Benefits of Air Duct Cleaning? How Often Should You Clean Your Air Ducts in Fullerton CA? There is an area of your home that you may not even realize should be cleaned. If you knew about all the dust and debris that is found in this area on a regular basis you would probably feel the urgency to schedule a cleaning right away. We are talking about Air Ducts. The air ducts are part of your air conditioning system and is the part that send the air from one room to the next. It also will circulate the air from your home into the system to be cooled and sent back to the house. The amount of dirt, dust and debris that is found in the duct work might be startling news. All the dust that is kicked up by regular everyday living can end up in these ducts. You can also find skin cells that are in the air, pet hair and dander, pollen and allergens that are always floating through the air. The air ducts can be cleaned and there are some major benefits of having it done. Leading Carpet Cleaning has a list of benefits to having your air duct system cleaned. Reduce Dust Buildup: If you go through your home and dust all the wood and furniture in your home only to see the very next day that a fine layer of dust has settled back on you may need to have your air ducts cleaned. The amount of dust that is coming out of the air ducts will get thicker and more prominent the longer you wait to clean your duct work. If you are sick of having to dust on a daily basis have the air ducts cleaned to eliminate the amount of dust in your home. Air Duct Cleaning Improves The Quality Of Air: If you are like the millions of Americans you might suffer from allergies or asthma. Both of these ailments can be worsened by allergens in your home. These can be coming from dirty air ducts. If you are noticing that you cannot get relief even in your home it may be time to have your air ducts cleaned. When the air ducts are cleaned the air quality throughout your home will improve drastically. Air Duct Cleaning Saves Energy & Money: The more debris and build up that is in the duct work, the harder your system will have to work to cool your home down. That ends up using more energy and in turn will show up on your electric bill. If you want to save money and energy have your air ducts cleaned so it can work more efficiently. Full service carpet cleaners offering air duct cleaning as well as other cleaning and restoration services in Orange, Santa Ana, Rancho Cucamonga, Anaheim, Whittier, Riverside, Chino & Fullerton California. 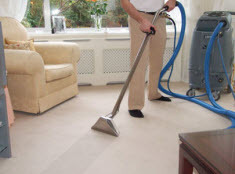 There are many people that realize the importance of having their carpet cleaned and have them done on a regular basis. With that said they are missing a great opportunity to better their home by skipping the upholstery cleaning. This is any furniture that is made from any kind of fabric. Just like any other fabric, upholstery needs to be cleaned to prevent damage and stop smells and staining. Just like the carpets, your upholstery is taking on dirt, debris and stains that should be getting cleaned by a professional. When you skip your upholstery cleaning all the debris and dirt that is on the couches and chairs will start to get pushed off onto the floor and that will cause the carpets to get dirty much faster. In the end it will cost you more money to keep your carpets cleaned. It is better to have your upholstery cleaned on a regular basis as a package with your regular carpet cleaning. 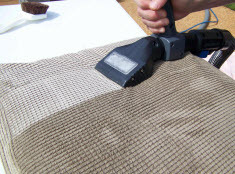 Leading Carpet Cleaning lists the benefits to having your upholstery cleaned on a regular basis. Improve Indoor Air Quality: Just like having your carpets cleaned can improve the quality of the air your upholstery cleaning can do the same. Your upholstery is just like any other fabric and can soak in different debris such as spills from liquid to skin cells and dust. These can all lead to the air in your home being contaminated with these items. All it takes for these things to take flight and fly around in the air is to have someone sit on the couch. That is enough to agitate the dust and debris and that will contribute to the amount of contaminate you are finding in the air. If you have bad air quality it can lead to trouble with asthma and allergies. Upholstery Cleaning Can Protect The Life Of The Couches and Chairs: The fabric on your couches and chairs can be damaged when you allow dirt and debris to stay on them. The cleaning will take away the dirt and leave the fabric clean. The fabric can be damaged and mashed in making it look terrible and you may need to replace them sooner than you wanted. A professional carpet cleaner can come out and clean your upholstery as an individual package or you can bundle it with your regular carpet cleaning. Leading Carpet Cleaning offers full service carpet cleaning as well as upholstery cleaning in Orange, Santa Ana, Rancho Cucamonga, Anaheim, Whittier, Riverside, Chino & Fullerton California.